We build our Virtual Franchise one conversation at a time – sharing our products and sharing our business. With Juice Plus+ we have exactly what they are looking for! So don’t hold back any part of the gift of Juice Plus+ – physical, social and financial. 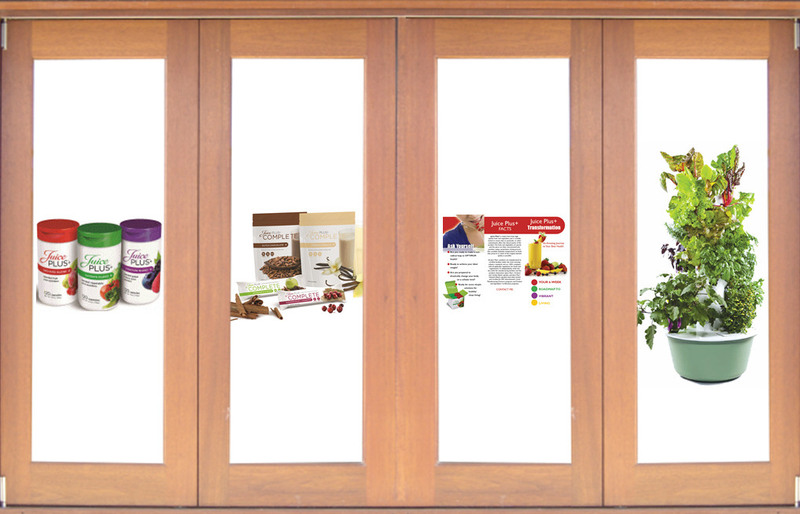 For a long time we always led with the JP+ capsules (door #1) – we now lead with the Trio, not just Orchard & Garden. For some we can add a ‘track’ to run on with rules to follow with our Healthy Living Revolution program (door #3). Of course, the Tower Garden (door #4) is a great conversation opener with a serious “Wow Factor”! Try leading with the Complete and introducing Shred10 – you’ll be glad you did!